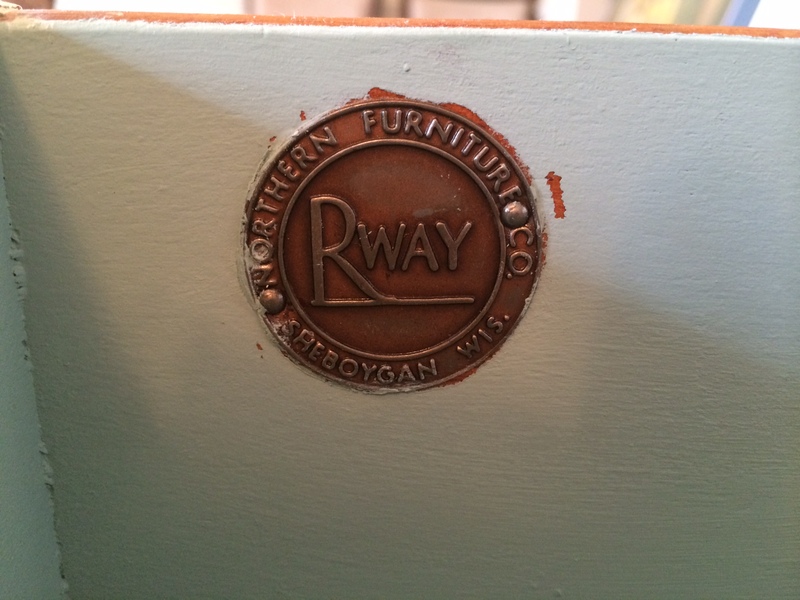 Last fall, in a moment of pure adrenaline, I snagged a china cabinet from our local ReStore. I had great expectations and quickly removed all the hardware, then let the poor thing sit idle in a corner of our dining room until last week. 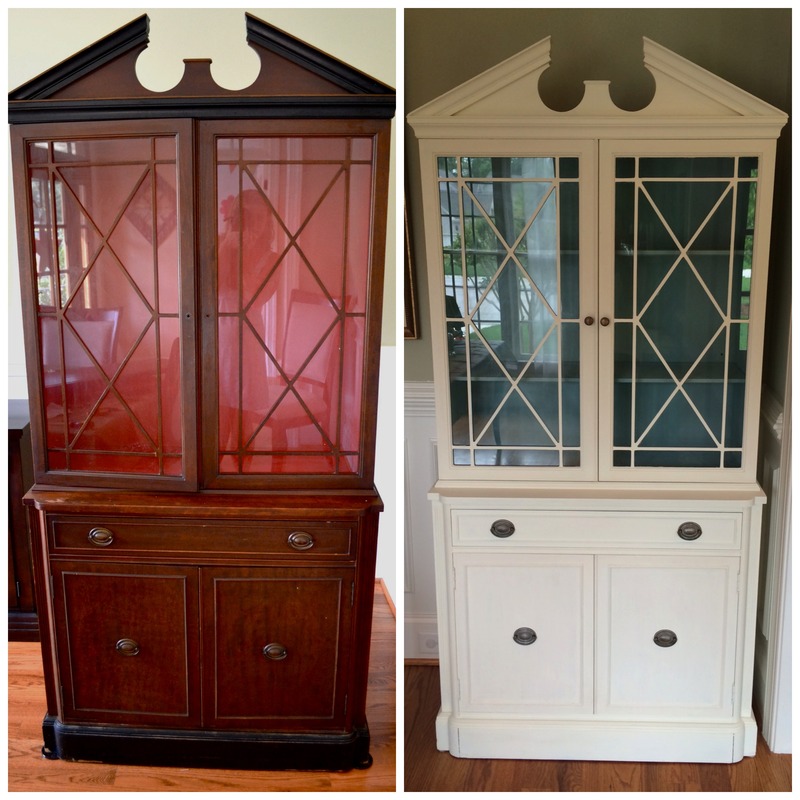 With our big, multi-family garage sale coming up this week, I knew I needed to give this beautiful beast a makeover and find her another home. Luckily, the bones on this girl were solid, and I didn’t have any major issues during her transformation. 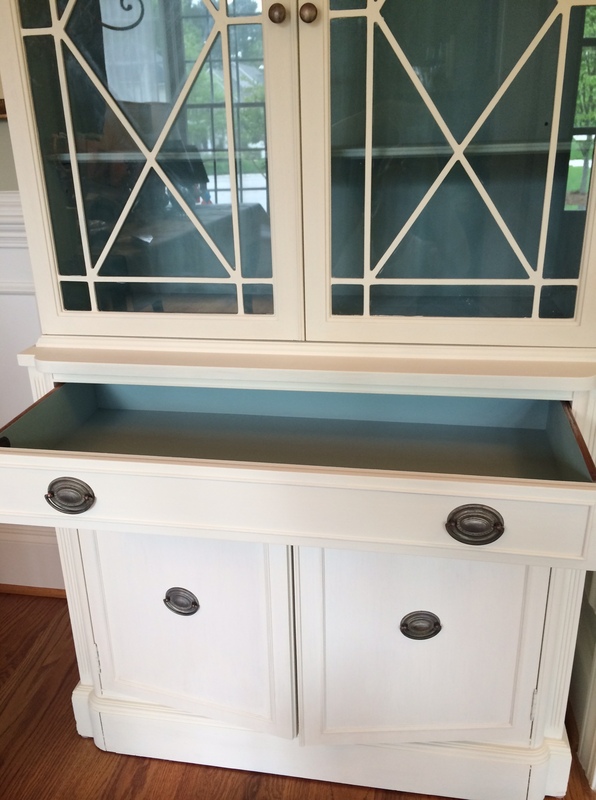 I used Annie Sloan Chalk Paint in Old White on the exterior (and inside the lower cabinet) and Duck Egg inside the upper cabinet and inside the single drawer. She has some great lines and I love the lattice-work overlay on the glass doors. 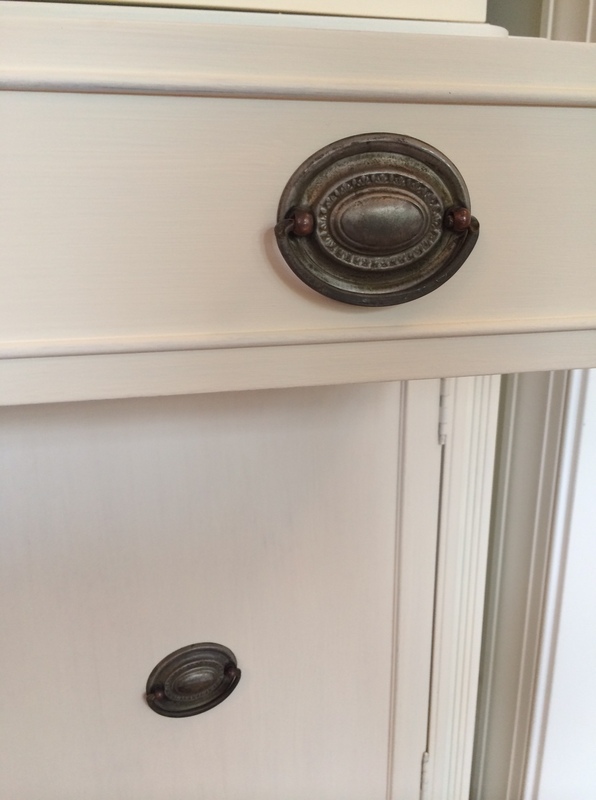 The medallion drawer pulls were in perfect condition and only needed a little CLR to remove some rust and shine them up. She’s now listed on craigslist (for a mere $250) and will be on display this weekend. Fingers crossed she finds her “soul-home”!!! I sold the cabinet!!! Yay! So glad she found a home and will be proudly displaying a Raleigh woman’s 1950’s-era bone china set in her dining room. It’s a little like letting go of a child. While I didn’t have a personal connection to the piece per se, it did take some blood, sweat and tears to get her into a valuable state, so it’s a bittersweet day. Now…what do do next???!!! 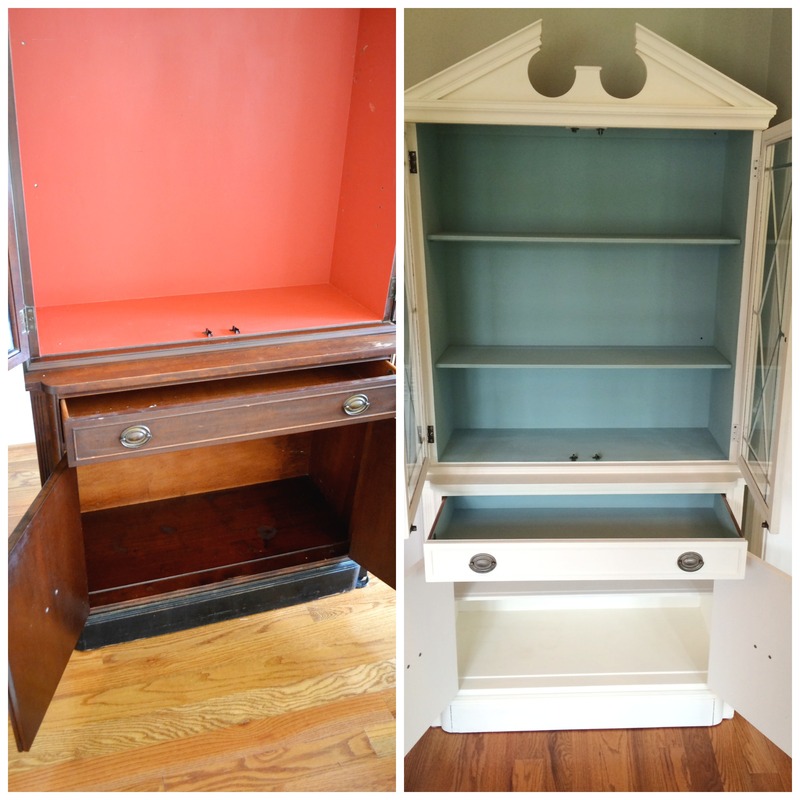 This entry was posted in Furniture, Life, Tutorials and tagged Annie Sloan Chalk Paint, Annie Sloan Chalk Paint china cabinet, ASCP Duck Egg, ASCP Old White, Before and After Chalk Paint, china cabinet, China cabinet re-do, CLR to remove rust, Duck Egg, Refinished chalk paint china cabinet. Bookmark the permalink.